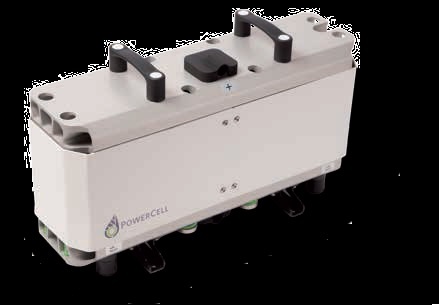 PowerCell Sweden has received an order from a Chinese company for its fuel cell stack (PowerCell S2) to be used as an EV range-extender. This stack is designed for efficient power generation in the range of 5 to 25 kW. Once the car’s battery has been discharged to a predetermined level, the fuel cell automatically kicks in. The built-in fuel cell converts the on-board hydrogen to electric energy that is supplied to the battery so that the driver can continue his or her journey. The car is powered by the electric motor and the average power output is provided by the fuel cell to keep the battery charged. The battery contributes maximum power, such as when overtaking. The client is a Chinese company within the automotive industry.